To be honest, I wasn’t sure how I would look in a trench coat. If they don’t fit me the right way or if it’s too long, I end up looking like Inspector Gadget or completely lost in it. So when I saw this one on House of W, I took a chance on it. And now I’m slightly obsessed. It’s seriously the perfect length (I’m 5’2”) and the tie back bow gives it form and makes it totally flattering. I love that I can wear it with short booties or knee high boots and it would still look good. The satin? To die for, right? I love mixing textures and thought it would be perfect with my new velvet booties. If you haven’t jumped on the velvet trend train yet, starting with shoes could be a good start. And then work your way up. However I’m completely obsessed and would wear head-to-toe velvet and feel completely in my element. If you think you’ll hate trench coats, try a few different ones before you make a final judgment call. Because apparently I had just been trying the wrong ones all along! And now, I’m hooked! What do you think of trench coats? Have you had luck finding good ones?! Share below! And if you’re digging the one in my pictures, use SAM15 to get 15% off your purchase on House of W! 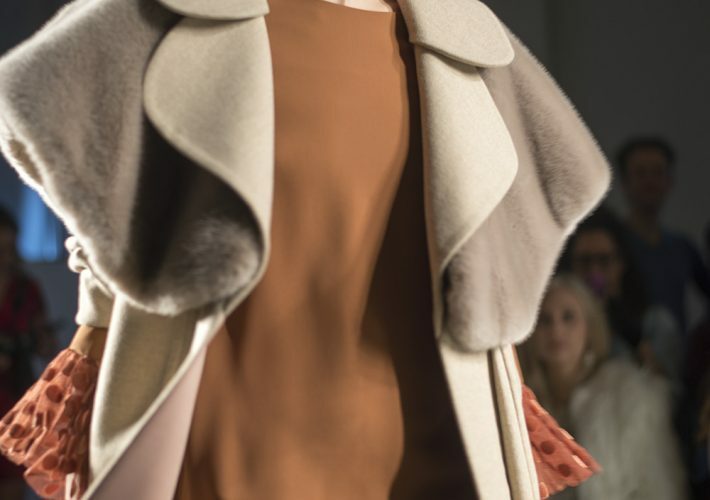 That trench is SO cute on you! 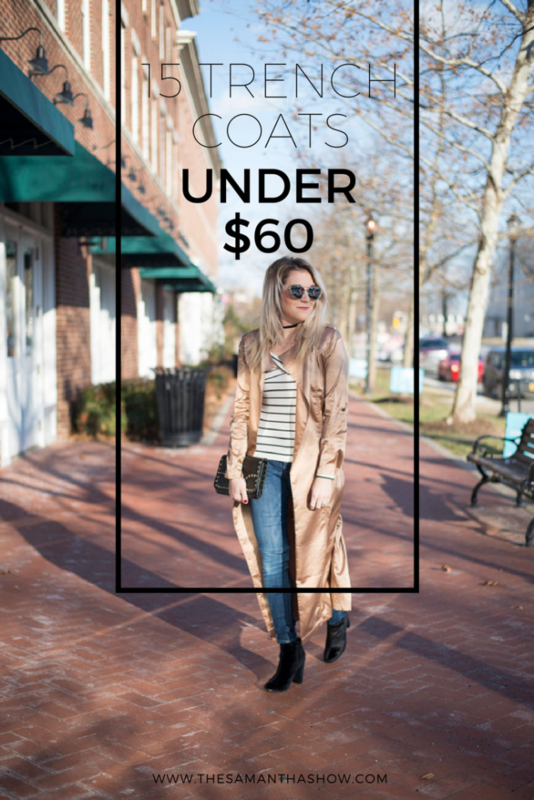 And, I can’t believe these are all under $60, what a great deal for a coat! Trench coats are a classic! I inherited a houndstooth one from my grandmother that I love. Oooh I love that gold one you have on! Great look. 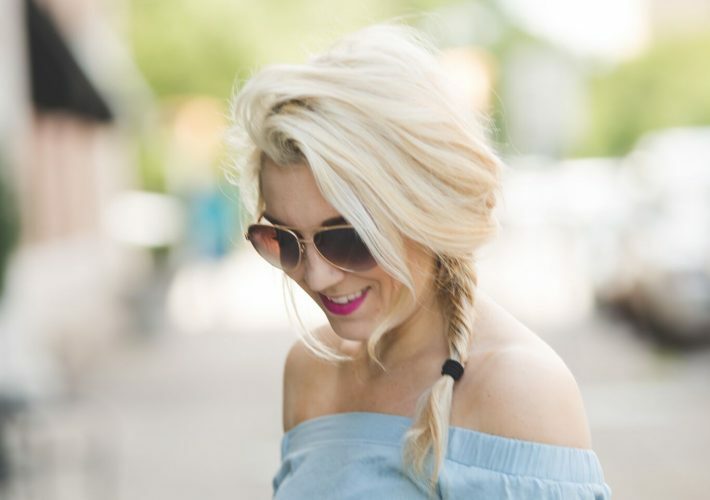 Love how you styled the outfit! such a cool trench coat, love the unconventional fabric!